NEW BEGINNINGS-IT TAKES COURAGE TO CHANGE ©: MINISTER TO ME JESUS-MINISTER TO ME MY LORD! John 20: 15 "Jesus said to her, Woman, why are you crying [so]? For Whom are you looking? 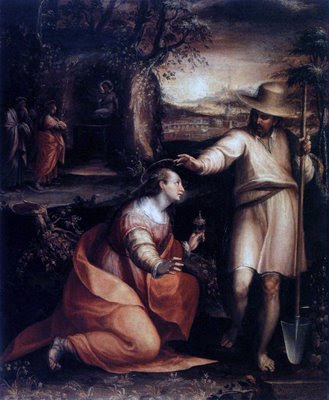 Supposing that it was the gardener, she replied, Sir, if you carried Him away from here, tell me where you have put Him and I will take Him away." Minister to me Jesus-Minister to my body Jesus! To my mind, my soul, my heart-Minister To Me Jesus! 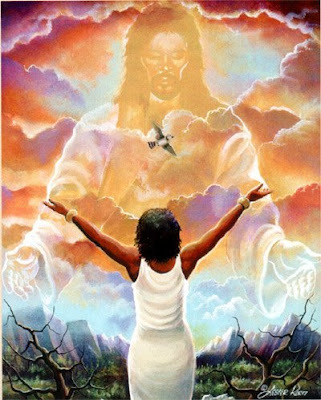 My God, My Lord, my sweet Jesus, I am not my own anymore, I belong to you! The price that you paid to Redeem us—Only You can know the level of Agony and Heartache, Pain and Loneliness –so Huge an amount—that none of us has ever known nor will we ever know! The Price of my Redemption is so enormous—that I can never wrap my smallness around it to be able to ever say, that I fully understand it! NO! All I am able to speak in truth is that I understand that the Price is so enormous that I am not able to have full comprehension of it. Ev’ry time Lord, I feel Your Spirit move in me-I Will Pray! And even though knowing all that He has done for me –as I within my natural limits-somehow I have a deep enough understanding to know that I love Him more than I love myself. That space, that place deep within me (deep within each of us) was put there when God created us—and no matter how much natural stuff-(people, material gain)- we try to use to fill it—Nothing Will Ever fit that is from the world, because it is The place, The space set aside for the Spiritual—The Holy Spirit to dwell within us. I know, I tried for years to fill it with things and people that could never fill it. Do you know what I am talking about? I know you do. I am not my own-Jesus bought me-(And you also). I belong to Him-I am His to Use, to Love, to Provide for. He is Responsible for me. So Many others do not understand, or do not want to understand the infinite Love of The Divine! It is and has been taught that Jesus bought us, so we have to serve, obey and live for Him; they fail to teach And learn the Rest of His Message-that because He has bought us that it Is His Responsibility to Supply my every need. (All that belongs to Him). And that we claim His Love And His Power! Increasing me Jesus with the Increase of Father God-Nourishment Provided from Your ministering to me. As we remember the Truth from this Resurrection Season; that we are learning, Now, that in Eternal life there are no time-limits. So the willing Sacrifice Jesus gave for us, is also for us today-Right Now! And the veil of the Temple was rent in twain, from the top to the bottom. The veil that had for too long separated God from mans sight and knowledge is At Last Removed! God Through His Son-His Child Jesus, tore away the veil so that He revealed His Father God to us-His people. So that we shall know that He LIVES, forever Lives, to make intercession to the Father for us-His people-His sheep. He Is The Great Mediator between God and us-He Is the Living Savoir, The Christ Lord Jesus! This hour is no different than when those that have come before us who actually saw –watched Him on Calvary—so do we witness His Divine Love for the Father and for us. He Is The Changeless One. He is the same Today as He was two thousand years ago. Once we accept His invitation to become part of His family, to Embrace Eternal Life-we enter into His Suffering and we help Him to carry His Cross. Just as surely as if we have walked beside Him to Calvary. For those of us that follow His Spirit-Lead, who allow Him to change us from the inside out—We Are Increased in every way that we acknowledge the Lord to be able to do. Are you thinking that you are 'bothering God?" Do you think He is not able to do as He has promised to do? Today my focus (And hopefully yours)-is on all the Ways the Lord desires to Increase my Whole Life. I don’t want to miss out on Any Divine Positive Increases that my Father wants me to have. I speak out His promises and His truth over my life. Amen. Increased so that I will be moved into a Brighter and Larger Tomorrow! We are Framed by the words we speak, our lives are an offering to Him. We declare what we believe; (Proverbs 18:20) - What are we satisfying- our doubts, our fears, our flesh-or our heart, our soul and our Spirit? You can’t feed the Spirit with the natural foods and material things of this world. The Spirit must be nourished with what is from God. When we call on Him to Minister to us He immediately pours His Living Water and Spiritual Food right to where they are needed, deep in our soul—He Ministers to us! Ev’ry time I feel Your Spirit moving in my heart-I Will Praise You! Are these words that you speak from one day to the next words of Truth or those that have been born from lies so long ago that now you think them to be your truth? Are you speaking Life or dread? Every time you speak dread, you will face dread. Words have Power to bring life or bring death and trouble. Every time you speak a confidence—that will determine and reveal where you stand and in whom do you trust with your life- Your natural life and your Eternal Life. 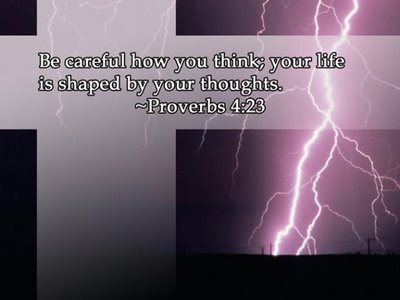 Examine your thoughts, your ways, your heart, I encourage you to check your motives and motivations-think about what are you thinking about. Listen to yourself think, as you speak to yourself and to others throughout your day. You may need to change how you look at life, the world, other people, yourself, God Jesus and His Holy Spirit. Who are you aligned with in all areas of your being? Are you calling on Jesus – trusting Him to pay your bills and not heal your heart? Are you trusting and believing Him to help your child, but not help your relationship with your life partner? Are you calling on Him to help you at your job, but not trusting and asking for Him to work on you so you are easier to work with? Are you praying for Him to help another mother/father raise their children right, but not asking for correction concerning your own children? Are you praying that a friend or relative will be changed/prepared in time to receive the life partner He has chosen to bring them, while not asking for Him to prepare you for the one you are waiting for? Do you think you need no corrections and changes made? Are you more concerned with image more than reality? Have you spent your time enlarging your intelligent and natural lives and leaving your Spiritual and Emotional lives to grow wild and stunted? For example; are you older then say 25, yet still view your heart people and yourself with the emotional immaturity of a high schooler? Do you still get angry and pout when things don't go your way? Do you still get bent out of shape when 'outta-the-blue' -unexpected news comes your way? Do you still compare yourself with everyone that you meet? You know, looking them up and down? Do you still equate your growth by what you have bought, and accomplished based on the world's standards? Think about what you are thinking about! To allow His Spirit to un-learn in us all that the world has taught us, And then, to re-teach us so that we –All of our being is aligned in agreement with His Holy Spirit-leading, is our part in this Relationship with Jesus. EveryDay, we are to examine ourselves, to make sure that we are Living In The Spirit's Standards And not by the world's standards. Many inheritances that your family wants to bestow upon you are filled with curses. Many that no one has in many years denounced, rebuked, or prayed the Jesus would take them and turn them into Blessings. And people wonder why all the women in the family have "female issues". Why all the men beat the females in the family or their girlfriends. Why there are so many cons, liars or thieves from one family. Curses that have been passed down through generaltional inheritances. We each-You have the authority to reject what will stop you, slow you down, alter your path or make you leave your ‘right mind’. Many of the inheritances that come through family blood lines will limit you in this life—which will limit you in obtaining your Eternal Life. Some of this inheritance may include-sicknesses, diseases, faults, wrong beliefs, selfish motives And motivations, physical defects, emotional problems, poverty And the list goes on. Be careful about receiving your natural family’s inheritance—you may just be killing yourself day by day. We are called to Seek the Inheritance that is the Fullness of God’s Wealth And Increase! We are part of the family of the Living God through the King of KINGS! Minister to me Jesus-to my mind, my body, my Calling, my heart! So as You Are my LORD-so am I—Increasingly! Minister to me Jesus-I am knitted with You-I am Yours-I allow you to Minister to me in all that I am And do!